I could see myself wearing these with EVERYTHING this coming fall!! 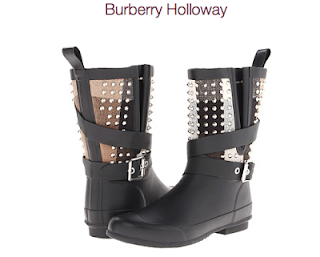 These Burberry boots are weather resistant and stylish! Check print shaft with studded accents. Buckled strap wraps around the shaft.